Learn more about becoming a Redline Trailer Repair Parts dealer! 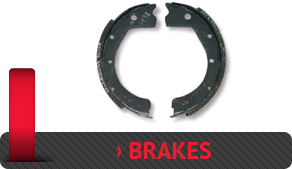 In the past, finding durable, dependable trailer brakes, brake components, and trailer running gear required a great deal of time, effort and money. Now, with our new “Trailer Parts Pro” series of trailer repair parts, we’ve got a simple and easy offering for you that provides great appeal for your customers. Our Trailer Parts Pro line of trailer parts offers you color-coded packages to guide the customer to quickly identify the right category and our new trailer parts icons help make sure the customer is getting the part they need. And just to be sure, we put the product description and application information on the front and back of the package so we minimize any returns for you. 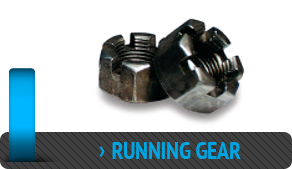 Coupled with our experience in the industry and our knowledgeable trailer parts team, Redline has the right solution for all of your trailer brake and running gear needs. If you would like to become a dealer and receive a print catalog of our fast moving trailer brakes, components, and running gear, please complete the form on our “Become a Dealer” page. Select a category below for a brief description and convenient downloadable PDF parts catalog. Redline has an extensive line of brake parts. 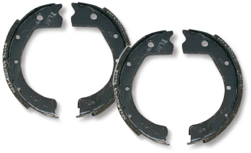 We offer complete electric brake assemblies as well as repair and maintenance parts for electric, hydraulic (drum and disc applications), and air brakes. Redline offers a complete line of the most popular trailer items available. From axles to U-bolts, Redline has what you need to haul with confidence. Copyright © Redline Trailer Repair Parts.